IBA Graphics was originally founded in 1978 by Ian Hamilton, he successfully ran the business with his good friend Alan Jeffries until Alan left to start a new life in the USA. Ian’s sons, Guy and Andy then joined the business in the 1980’s and worked alongside their Father until his retirement in 2009. Having traded as IBA Graphics Ltd for over 35 years, in the Autumn of 2013, looking to expand and grow the business further, IBA Graphics merged with their long term friends and colleagues Sarum Colourview to become IBA Colourview. IBA Colourview remains family run, Guy and Andy are still personally committed to the business and its success and have the commitment, attention to detail and continuity that customers have come to expect over the years. Now with over 35 years of print, publishing and design industry experience and knowledge ready to share, IBA Colourview will work with it’s customers to get the job right. Not just an online print shop, IBA are always pleased to see it’s customers, face to face and help with files and advise about colour, however big or small the job may be. 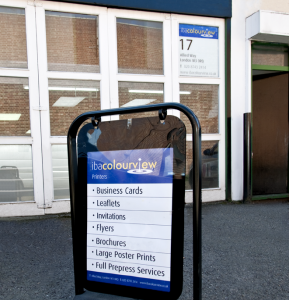 Because IBA Colourview have a comprehensive range of print equipment, you can enjoy a completely bespoke print service. This equipment is also the latest available, ensuring you both the ideal product and the highest quality. Extended opening hours mean a fast turnaround with overnight printing available Monday to Friday. Call IBA today for friendly, expert help and advice.